The Mediterranean 43 nations gathering under the auspices of President Sarkozy, is a well staged show. Speaking from my own Israeli view, I dond’t feel a great enthusiasm when seeing the receptions at the Champ Elysee. The pictures are well know pictures of politicians accolades and handshaking with in the background, limousines, french soldiers in fancy uniforms and security men. Something like the G8. Sarkozy is trying to make his ‘grand coup’ especially with the Maghreb countries to minimise their emigration to France. As for Syria and Lebanon, old french protectorates and today in some way francophone countries, his involvement is perhaps useful but the main Israeli talks channel with Syria are via the Turkish mediators. Bashar Assad is one of the winner of this gathering, appearing together with all the other Arab countries, after a long period of isolation. 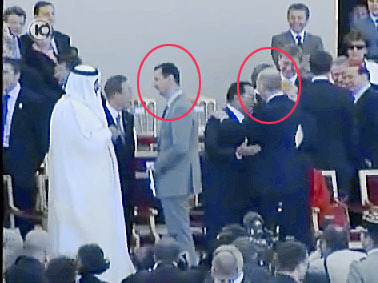 But the Egyptian president Mubarak didn’t even give a look at Assad and some time later they are seen together, in a TV shot with president Sarkozy… And Syria’s Bashar Assad, two meter away from Israeli PM Olmert refuse to see PM Olmert. Libyan President Moammar Gadhafi didn’t like the whole idea and stayed home. 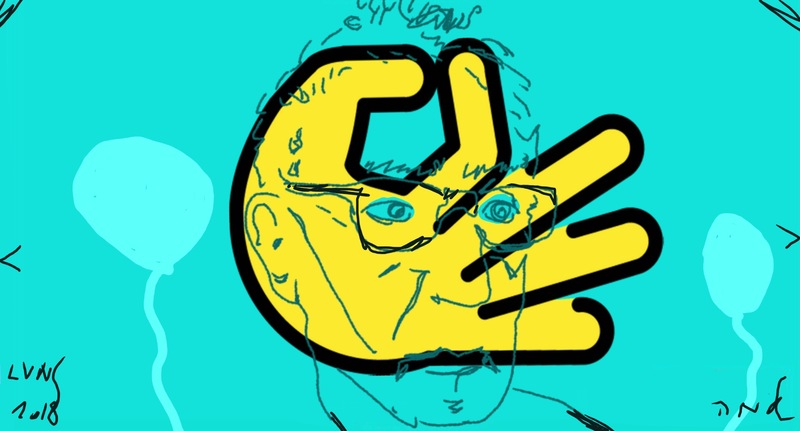 This is a shortcut to the ‘sociology’ of this gathering. Syrian President Bashar Assad refuse to ‘see’ Israeli PM Ehud Olmert. In Israel we know what is the real ‘cash value’ of talks, ceasefire and signed treaties in the Middle East. With the Hamas there is a ceasefire broken every day. With Syria there are talks, but via Syria there is the gigantic rearmament of the Hezbollah. With the Hezbollah there is the prisoners swap this week, but the Israeli press predict that after the swap Hezbollah is ready to attack: according to their accounting they owe Israel a revenge for Mugniyah’s dead. The call of President Sarkozy for a free nuclear middle east (Mediterranean is not possible: France has nuclear weapons,,) is at most not serious. The principal addressee is Iran and is not a part of the Mediterranean but her missiles and their firing range grant her a threatening participating ticket on the presidency stage. So, the President Sarkozy’s show is a french romance a la Enrico Macias , the warm-up band, until the real world star and his band, McCain or Obama will begin their world tour show. And after all this, I hope that deeds, not words and gala banquets, will be the output of this gathering. 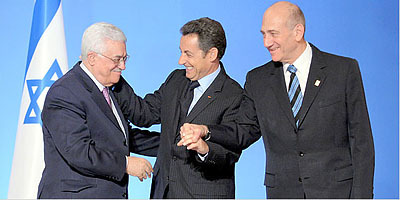 PA Mahaboud Abbas, French President Sarkozy and Israeli PM Ehud Olmert, Bastille day 2008.